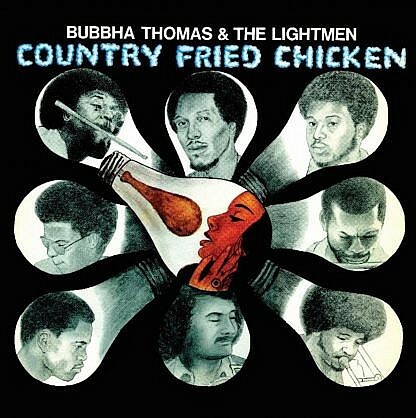 Houston, Texas group Bubbha Thomas & The Lightmen dropped this, their fourth and final album, in 1975 and the original commands serious money and attention from collectors. The title track is a classic that blends a deep, funky b-line, scratched guitars and jazzy horns making it impossible to sit still to, ‘Survival Song’ sees the group utilising a spacey synth that no doubt targetted the disco scene of the day while the organic funky jazz of ‘Herbs (Of Life)’ has a wonderful compressed feel that lends it a soundtrack vibe. ‘Sweet Ray’ is a 10 ½ minute epic that goes from flute heavy funk to expansive spiritual jazz and back again with soulful touches. This expanded versions includes bonus cuts including the alternate, shorter version of ‘Country Fried Chicken’ as well as the superb, unreleased modern soul of ‘Looking Back At Summer’ (featuring John Henderson) In contrast to the spiritual jazz of ‘Luke 23 32’ and ‘Ashie’, the breezy ‘Let Me Play The Music’ is full on dancefloor disco. Great set with some essential unreleased gems too.